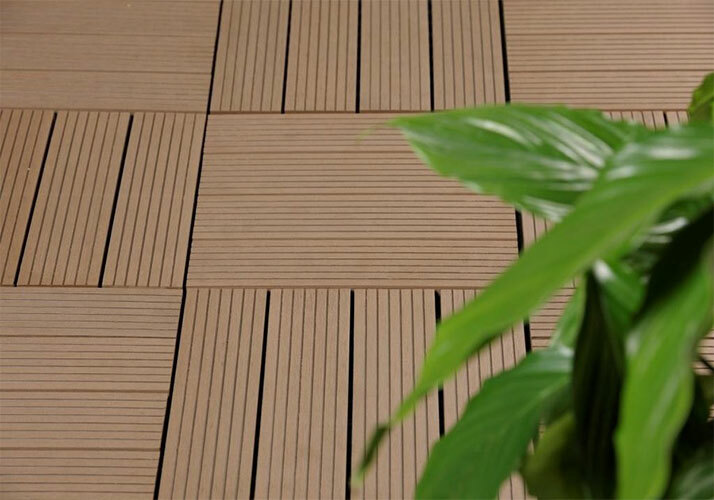 Wear resistance interior wood flooring combines the advantages of plant fiber and plastic, a new wood-plastic composite materials, can replace traditional wood, it is a green, environmentally friendly renewable building materials. Wood Flooring As a new material, mainly used for home decoration. This material combination made of solid wood and plastic, there is moisture, insects, etc., with discarded plastic, as well as wood chips, straw and other materials. Interior wood plastic floor is made in the production process generated lignans added after granulation equipment made of recycled plastic wood-plastic composites, extrusion group then made floor. Now application in the home decoration, landscape, park and other field. Interior Wood Plastic Flooring Why Popular? 1. Wear resistance: interior wood plastic floor wood floor more than ordinary wear resistance and durability, and the characteristics of having a long lifetime. 2. Waterproof and non-deformed: wood floor has no cracks, no swelling, no deformation characteristics, no late repair and maintenance, easy to clean, saving the latter part of repair and maintenance costs. 3. The formaldehyde-free: Wood Flooring with high environmental protection, pollution-free, zero formaldehyde, pollution-free characteristics, making quality wood floor far exceeds European standards E0 grade rating. 4, Recyclable: wood flooring products can be recycled, greatly reducing the deforestation of forest resources, while completely eliminating waste flooring environmental pollution. Finally, for consumers, wear resistance interior wood flooring is a good choice for home decoration, Seven Trust of interior wood plastic floor can be personalized design, to fully highlight the personality style. If you needed, please contact us.